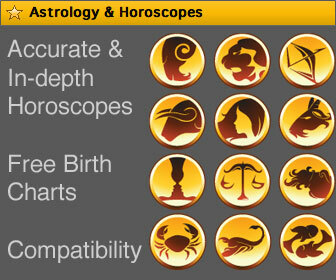 EasyScopes is an index of horoscope and astrology sites. All the links featured in this index are sorted by zodiac sign. That's why EasyScopes gives you fast and easy access to the information that you are looking for. No more clicking through long menus of zodiac signs that don't interest you. These categories include daily, weekly, monthly, yearly horoscopes as well as additional astrology links for love compatibility, financial astrology, etc. 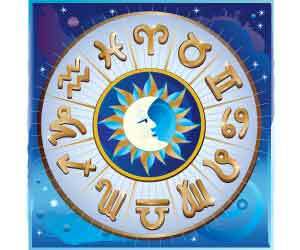 Astrology and horoscopes can help you to better understand yourself and give you some indication about your future. They also provide information about your career, romance and relationships, money issues, health, family and all other aspects of life. However, please always remember that you create your own future. So whatever your horoscope predicts, you can change it with your thoughts and actions. Always use common sense. The online LoveTest gives you online advice about your relationship. EasyScopes is a great place if you are looking for free daily entertainment. You can also subscribe for free to our daily and weekly horoscopes by e-mail. Please do remember that we are not responsible for the contents of sites that are featured on EasyScopes. Make sure to check out the most popular astrology sites in our Top 20 listing!